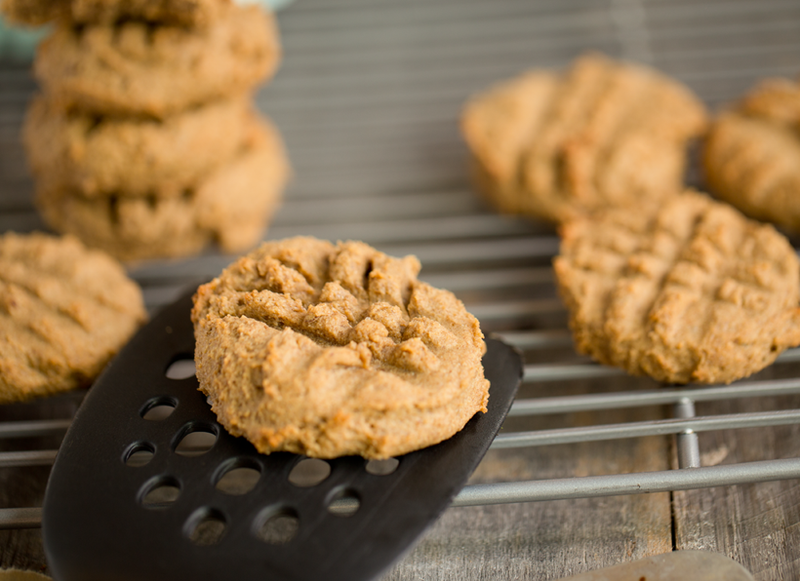 Peanut butter cookies are always welcome! 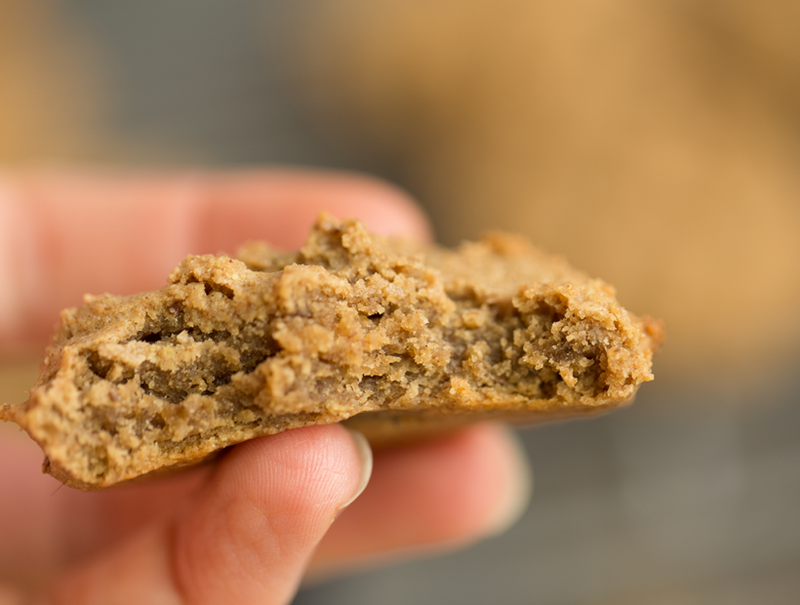 And this one is a sturdy vegan recipe that uses a nifty flax egg and includes a how-to video. 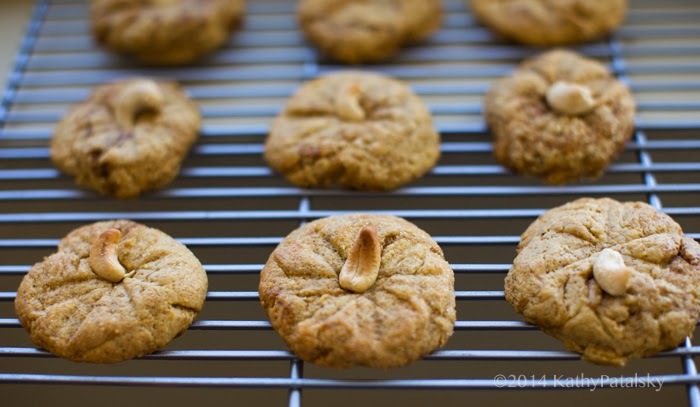 Peanut Butter Cookies are probably my favorite cookie ever, so I never tire of them. thus why I have a handful of pbc recipes here on the blog. 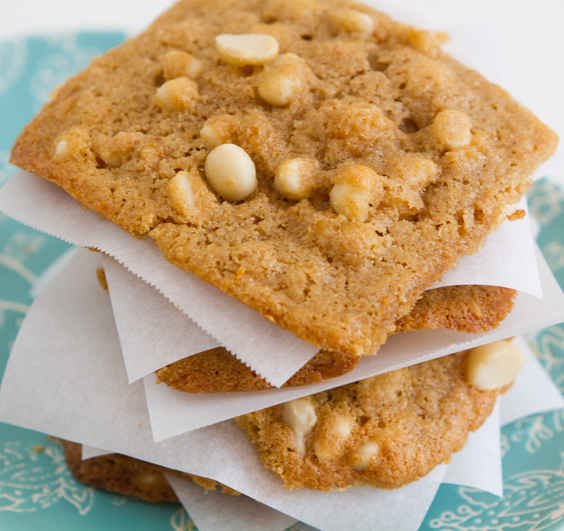 So ya, this is another peanut butter cookie recipe, but I feel you do need this one in your life! 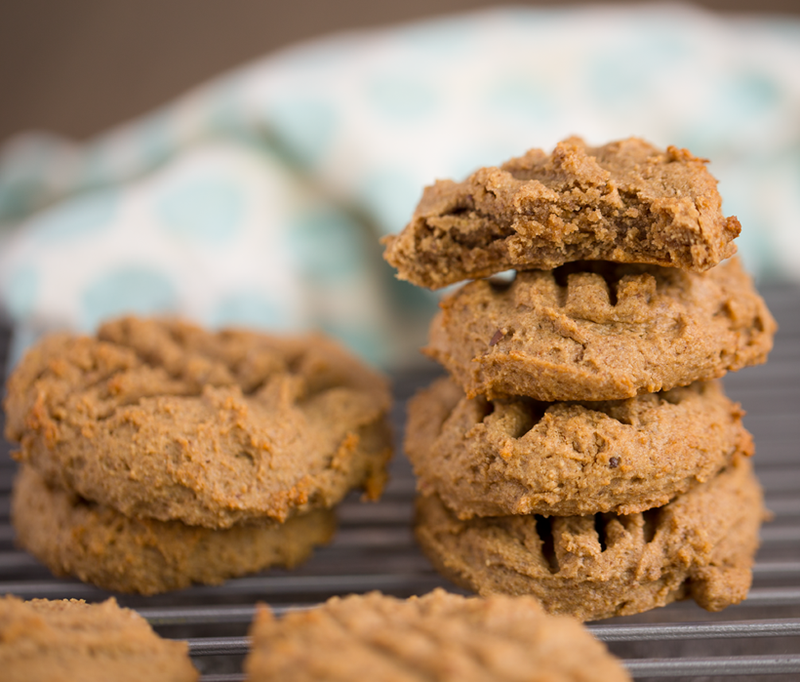 These cookies are unique because they are of course vegan, but have a nice mixture of richness from a hint of vegan butter and loads of rich peanut butter, with a natural sweetness of earthy-sweet maple syrup as the sole sweetener. Flax egg plumped up, modifications ahead. And maple, vanilla and cinnamon all roll together to accent the chewiness of these tender baked bites. Oh! And a video for this recipe too! Boom. I knew I had something else up my sleeve for this one. 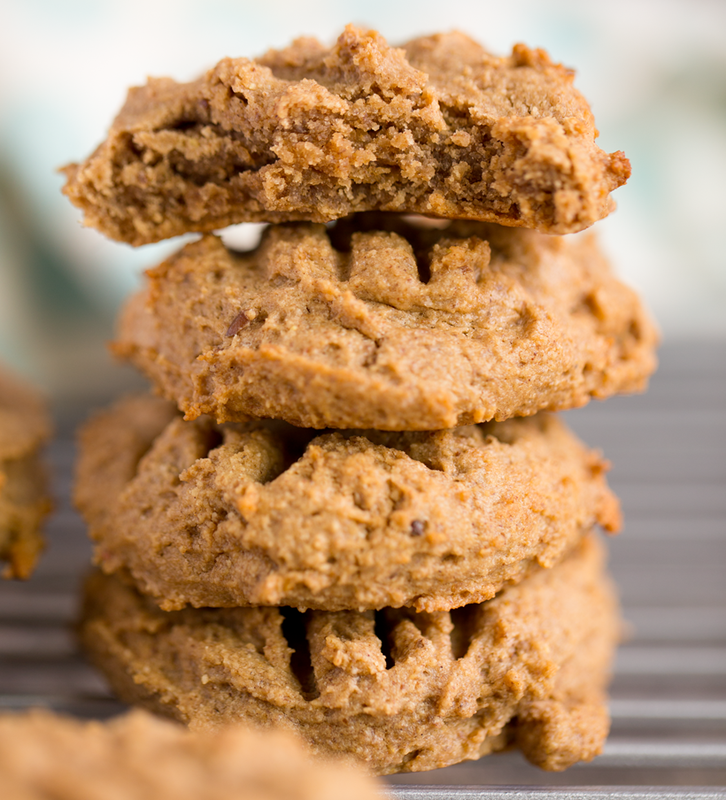 I love these vegan peanut butter cookies as a snack or after dinner nibble or with tea any time of day. * VeganEgg product, "1 egg"
Watch me make today's recipe!.. Oh and bonus! Did you know that 1/2 cup of peanut butter (like in this recipe) has around 30 grams of protein! So that's a nice accent of protein in a dessert recipe. And maple syrup naturally contains minerals and antioxidants like zinc, manganese, iron and calcium. Sure the amount is small, but if I think about how many bottles of maple syrup I go through in a year versus how much sugar I would have to go through in its place, that is a nice chunk of minerals and antioxidants added to my diet. I love maple syrup or coconut sugar as my go-to sweeteners. 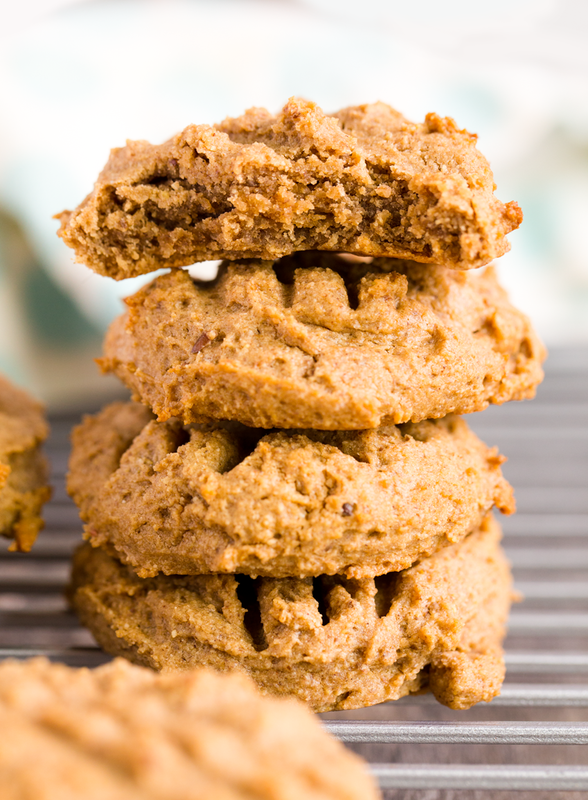 These chewy and tender peanut butter cookies are the perfect feel good treat. Vegan and accented with vanilla and cinnamon. Fifteen minutes before starting, make your flax egg by whisking 1/4 cup warm water with 1 Tbsp ground flax seeds. I highly advise using a roasted or lightly pan-toasted flax seed. This will have a nuttier and nicer flavor for the cookies. Place the flax egg in the fridge for at least five minutes to set a bit. Preheat oven to 350 and line a baking sheet with parchment or grease with coconut oil. Add the wet ingredients to a mixing bowl and beat with a mixer until smooth. Add the dry ingredients a bit at a time and continue beating until smooth and fluffy. Do not overbeat or you will lose some of the fluffiness. Scoop the cookie dough onto the parchment. Crease with a fork if desired. Bake for 10-12 minutes at 350 degrees. Cool on cooling rack. **photo/recipe note!! I made these cookies twice before posting. And the first time I actually forgot the apple cider vinegar and used two flax eggs. Those are the cookies I photographed. Delicious, but I then made them again trying ONE flax egg and adding the ACV and they were even fluffier and a tad bit better in texture. So just an FYI! I didn't want to reshoot because these are the cookies in the video. The recipe I share is the best version! :) Enjoy! Want more cookies??? (You monster.. ya, me too.) Try these!..